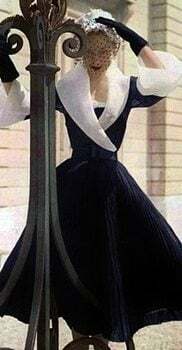 1950s Fashions, what we wear tells a lot about a culture. The 1950s was fundamentally a time of conformity. You won’t find anything wild or risqué on these pages. Think of it as good, clean, wholesome stuff. The mini skirts and wild fashions don’t arrive until the 1960s. Sorry, guys, but Grease was a movie. Most kids didn’t look quite that cool. We dressed very conservatively. What is shown on these pages is an accurate representation of 50s clothing. 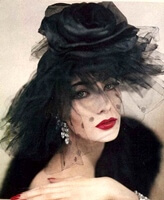 Explore individual pages for 1950s Dresses, Blouses, Pants, Evening Gowns, Bathing Suits, Shoes and so much more. Interested in 1950s makeup or hairstyles they’re here as well. 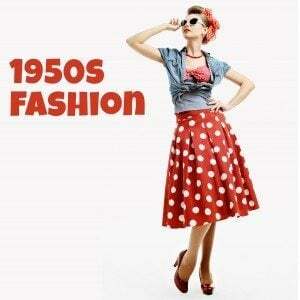 There’s even a page for 1950s men’s fashion, so spend some time and enjoy! How teens had to dress and how they wanted to dress were often two different things …. The poodle skirt. 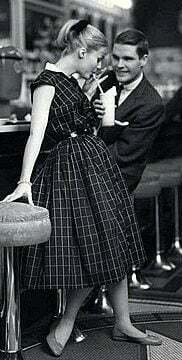 This is the look most associated with the Fifties. And when you saw the “skirt” link, it’s what you most expected to find …. 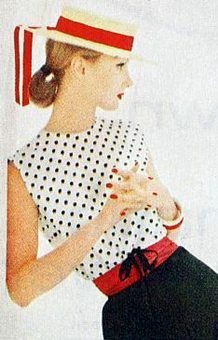 Softness and femininity were the key ingredients to 50s women’s blouses …. 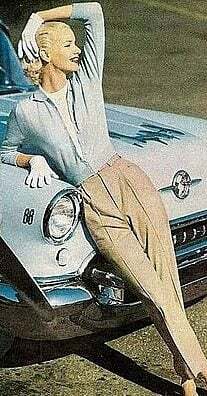 Although dresses were the norm, 50’s women did wear slacks or shorts to casual or outdoor affairs …. Soft, feminine, romantic…these words best describe 50’s evening wear …. 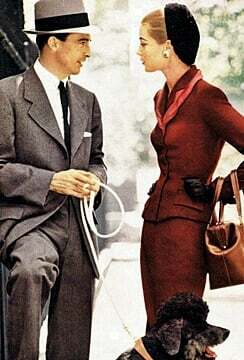 Much like today, suits gave the 50’s woman more style options than wearing a dress did …. Most of the pictures shown are of fashion models and pin-up girls…. 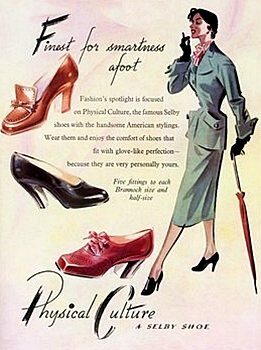 Women’s love affair with shoes didn’t just start recently, the 1950’s was no different and the stiletto heal was all the rage …. Women and teens wore girdles and petticoats. They were uncomfortable. They were hot. They were mandatory …. Men didn’t have many workplace choices for color. Dark blue, dark brown, and charcoal were the norm for work ….